It has been two weeks since my last post am I feeling guilty that I haven’t written, but I have been busy with my school starting, the kid’s school starting, and the activities that come along with active kids and a family– sports practices, clubs, church, and family. I actually began writing a post earlier this week and stopped because I didn’t have time to finish and get to school, on time. At the same time, I have been trying to get the sleep and rest I need to lead a healthy and productive life. T has been a challenge keeping all of the roles in balance. Today is the sixth day of school for me. We have five full days of learning behind us and many more, one hundred sixty-six more to be exact, ahead of us. Not that I am counting or anything, but I do intend to make them count and worthwhile, which leads me to this morning, or rather yesterday morning.Monday morning I began geography reviewing the syllabus and what we’ll learn this year. I panned across the room to many blank faces. Granted, geography is the first class of the day, and it was the first day of the week; I am sure a few students were dreaming about the weekend and what they did. A few were still in summer mode and having a difficult time thinking and the rest were sleepy. I didn’t have command of the class and it was early, very early. I had covered the topics – physical and human geography, North and South America, and Europe – and was on to current events, the part of the course where the students discover geography never stops. There was a 7.4 magnitude earthquake early this morning (Monday 8/27), where did it occur? Why was the year, 1969, in the news this past weekend? What happened in Venezuela this past weekend? I knew the answers because I asked the questions, but also because of my background knowledge and my life experiences. Most adults would have missed one, or two of the events, and maybe all three. The easiest of the questions was about 1969. Nevertheless, I wrote them on the board beneath the heading I WONDER\WANDER and moved on. When Wednesday came, I still had a few sleepy blank faces in class. The slide popped up and I began…. “Monday in class I challenged you to find answers to three questions and I forgot to cover them Tuesday, I’m sorry. So, we’ll begin class with them.” I got silent stares in return. “Who knows where the 7.4 earthquake occurred Monday morning?” I asked. A couple of students raised their hands and I called on one. “It wasn’t a 7.4, it was a 7.3 and it happened in El Salvador.” He responded. I was impressed; he had checked and discovered it. I showed them the United States Geological Survey’s earthquake map and explained that often times the first report of an earthquake reports the magnitude incorrectly. In this case, the first report was a 7.4 magnitude, and it was downgraded to a 7.3. It was a major quake, but fortunately it was offshore and no serious damage occurred. We moved on the next question, this time I had a few more hands in the air and a couple of ‘Bert the Blurts’ shouted the answer, ‘Neil Armstrong died this weekend and he landed on the moon in 1969.’ Correct, they were paying attention and a few more sleepy heads joined the class, realizing the class wasn’t going to be that challenging, after all. “That is correct.” I replied. Before, I could move on he asked another question. “Is your dad R. N. Watkins?” he asked. I was stunned. The class turned to look at him, and then me. We were all stunned. “Yes.” I replied. “My dad is R. N. Watkins. How did you find it?” I asked. He explained he had searched the internet and found an article my dad had written about crude oil processing in 1969 when we had lived in Venezuela. All of the students were engaged, checked in, and open to new information and ways to think. I had them and it was now or never. 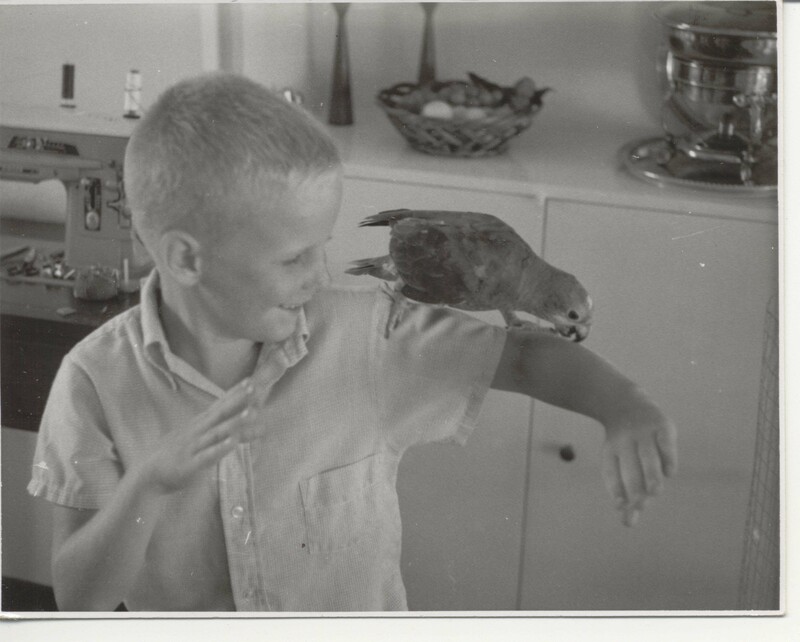 I explained my family had moved to Venezuela in 1969 and I had gone to second grade in Venezuela. My dad had worked on the design of the oil refinery complex in 1969-70 and our house was not far from the refinery. I went on to explain my dad had written an article for a professional journal and it turned out to be the starting point in a new career. It led to a book and the rest of his life. That was a long time ago, but I remember it like it was the other day. 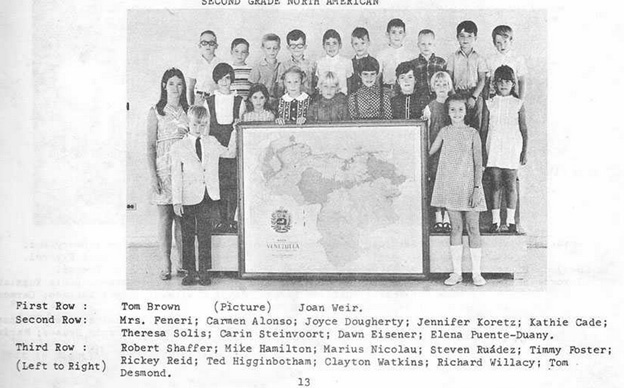 We moved back to ‘the states’ in the summer of 1970 and I went to third grade in Texas. We never went back, but Amuay in 1969-70 and Escuala Simon de Bolivar is part of who I am, where I’ve been, and what makes me tick. I think some of the kids got it. I am bringing the book in this morning to share. Today is gonna be a great day. It’s day six, Thursday and a day full of possibilities. I had better get moving, grooving, and going. Making the Day, one day at a time, one lesson and one kid at a time. What recent current events have taken you back in time? Great post. It’s always a challenge to get the kids interested in class. Making events or historical figures more immediate, more engaging is the key. Textbooks make everything so boring. I recently read a mini biography of Abraham Lincoln written by Thomas Keneally, who wrote Schindler’s list and it brought him to life like no other biography ever has. So far 20 days in and I still have ’em….. I’ll need to work a bit harder with geography (my favorite subject) to keep their interest.. but the sunshine report kicks in Monday and we’ll be working on all sorts of fun and interesting stuff in LA… but this generation learns very differently than ours! thanks for swinging by, love your photos! My daughter starting her senior year this week took me back in time and got me looking at all the baby photos! Time feels like it is flying. WOW, thanks. I remember our time together at Stoneridge Mall it was a great time… we had some zingers to work with Larry and Zoila make me laugh and cry, too. I wish I could go back in time and right some wrongs… but that is what makes me (and you) who we are. Thanks for stopping by and following along!